Welcome to Landscape Wizards’ tutorial on Time-Lapse photography. In this we try to explain the concepts and techniques behind making your own Time-Lapse. The introduction to Time-Lapse (henceforth addressed as TL) begins with an introduction to normal conventional Video. And that is because even TL is a video, and has all the concepts and terminologies of a video. But unlike a regular video which requires a video camera a TL can be done using any still camera. Its very simple and super fun. All you have to do is to make sure you follow the basics right. 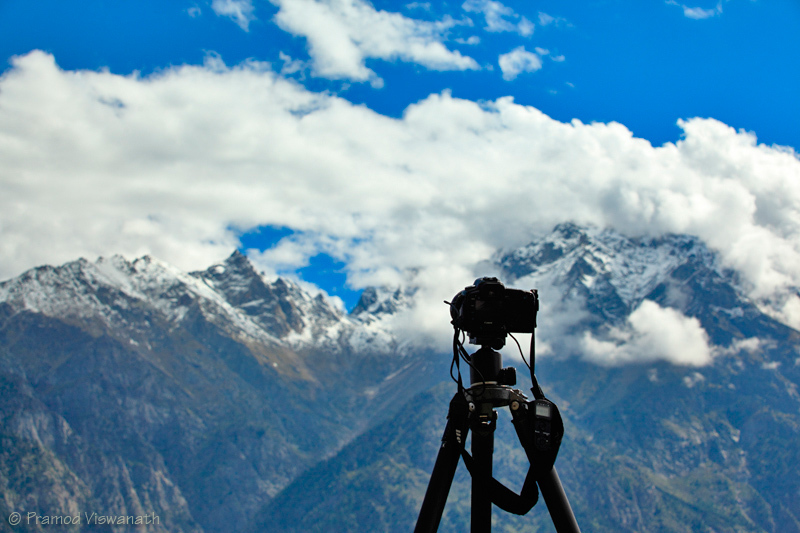 So, what is Time-Lapse photography? Wikipedia defines “Time-Lapse photography” as a form of video photography where each frame is captured at a much slower rate than the rate at which it is played back (I shall get back to this point in a while). When played back at regular speeds it has aneffect of speeding up time. Subtle events like a flower bloom or a sun set, which usually take hours in real time can be speeded up by many folds to view the event in a matter of seconds. Imagine this scenario: We have a flower which blooms in lets say 2 hours. If filmed at regular speed, we will end up with a 2 hour footage of the flower blooming. And it will beat the same speed as the event. Now if instead I take my still camera and make images of the flower say every 30 seconds, and then combine all the images together to form a movie (the part of combining individual images into a movie will be explained later in the tutorial), then how would it be? At this rate I will have 2 images every minute, or 120 images after 1 hr and 240 images at the end of 2 hours. Now combining these images into a video, which plays 30 images per second, I would end up with a video clip of 8 sec. The 2 hour footage has now been compressed to be shown in 8 seconds. This compression of time line acts as speeding agents and shows the flower bloom at 900 times its actual speed. The out come of this is often dramatic and produces a characteristic signature effect which is common across all TL videos. TL photography has become very popular in the digital age due to the ease at which tee individual images can be captured and combined to form TL videos. It is used for wide ranging applications like academic and scientific study of the weather patterns to artistic portrayal of landscapes. Anybody familiar with BBC documentaries like Planet Earth would instantly recall the multiple TL sequences which have become a signature of the series. Even though TL photography seems complex and labor intensive, it’s not all that bad. In-fact with the right tools its easy and creative! Before you start a TL project make sure you have the following Hardware and Software. A regular Still Camera (A DSLR is preferred, but not mandatory, I am howeverassuming you have a Canon SLR for convince). An intervalometer (like the Canon TC-80N3, for Nikon SLRs in the DXXXseries you can use the inbuilt intervalometer without the need for an external contraption) to make images at regular intervals. Now again this is not mandatory, but it will make your life a lot easier if you have one. 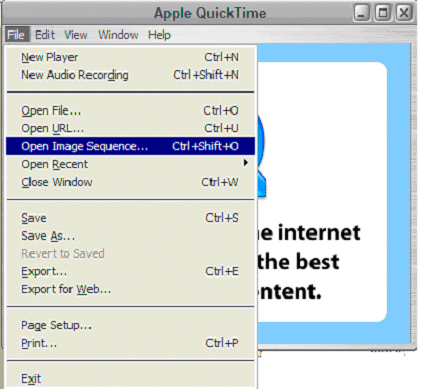 Apple Quicktime Pro or a similar movie maker – To combine the individual images into a movie. 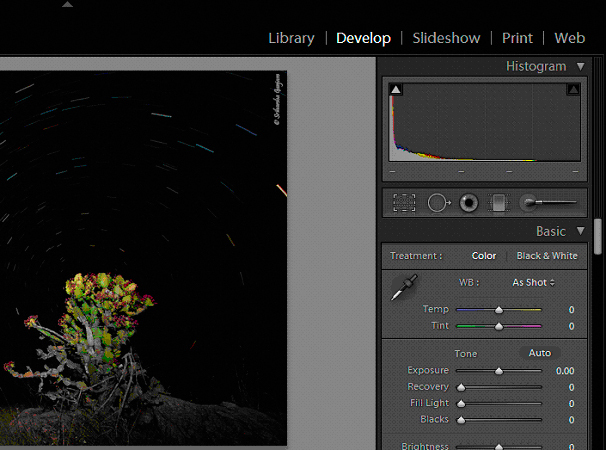 Adobe Light Room – For bulk editing your pictures (again not mandatory). If you have these above listed points covered then you are good to go! An ideal subject for TL is anything that varies over time. A classic subject is a flower bloom, or clouds moving in the sky. You can choose any subject that has gradual movement / change over time. 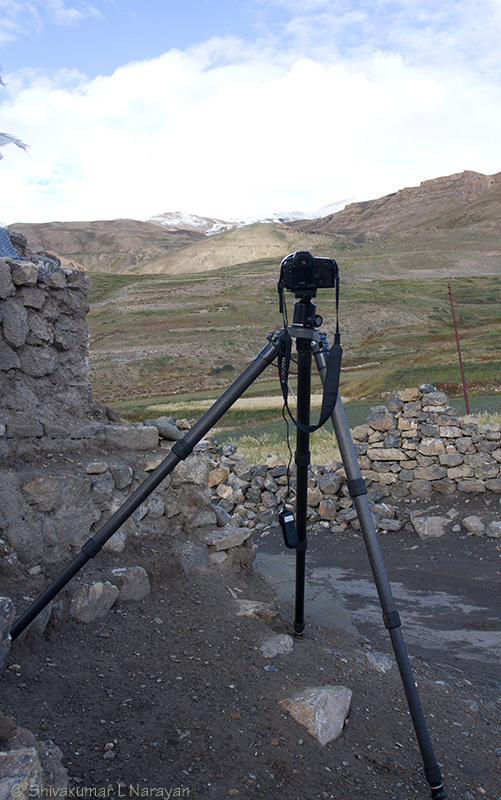 Once you have chosen your subject, place your camera on the Tripod and lock the position. You should at no point during the shoot move the camera or change the camera settings. Shoot your TL sequence on the manual mode in the camera locking the exposure and white balance. Use a white balance which corresponds to the light you are shooting in, but never use auto white balance. The images can be shot in either JPEG or RAW mode depending on your comfort level. Based on what you are shooting and the time interval between successive shots, your TL can either be a smooth movie or a jerky one. It’s visually more appealing to have asmooth progression in the movie, and this depends on the time interval between each successive shots. If you have a slow changing subject (flower bloom) then you can afford a longer interval between successive shots. If on the other hand you have a fast changing subject (cloud movement) then you need to have a smaller interval. The optimum interval time is best defined by trial on the location and usually it takes a couple of tries before you get the interval time right. By a rule of thumb most TL videos have an interval time twice that of the exposure time. Once you decide on the interval time, key it in the intervalometer so you have an automatic trigger of shots every x seconds, based on the input interval time. Once you have everything setup, you start the TL taking images every x seconds. Remember not to move or change any setting during the whole process. You have finished shooting your TL and now comes the hard part of combining theimages into a movie. This involves first editing the images (in Light Room) and then combining them into a movie (in Quick time Pro). I usually use Light Room to make bulk edits of the images I have shot for my TL and youcan use any other software with similar features or avoid this step completely if you are fine with the images as is. 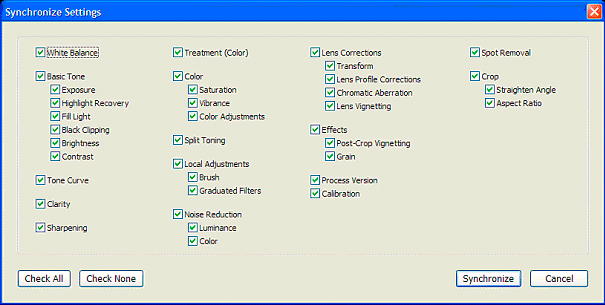 Bulk editing maintains consistency of processing across theimages and also requires minimal human intervention, thus making this step simpler. Start by downloading all the TL images from your memory card onto the hard disk drivein to a separate folder. 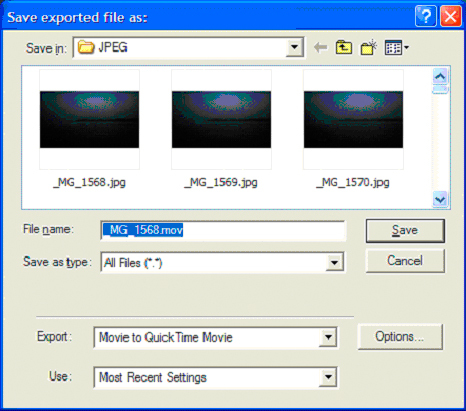 Then go to File > Import Photos and look up the folder to import the photos. Once the import of pictures is done, the Develop tab gets active. Hit on Develop and make the necessary changes to the images as per your taste. This is where you adjust the color, set the crop if any, set the white balance etc. One thing I personally like to do is Crop the images in a 16:9 aspect ratio, this gives myTL a HD feel. 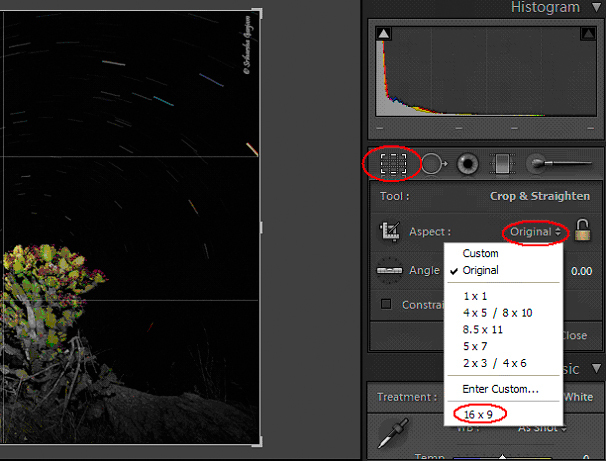 Click on the dotted Rectangle or the Crop Overlay tool to bring the Cropmenu as shown below. Then under Aspect: Choose 16×9 if you already have it, else keyin the aspect ration by entering it into the “Enter Custom” option. 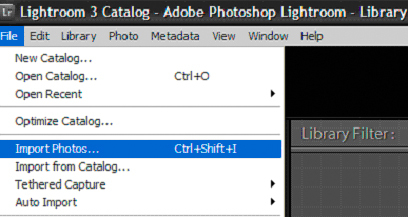 Once you are satisfied with the editing, hit Ctrl + A to choose all the images in the library. This brings up the “Sync” button in the bottom. 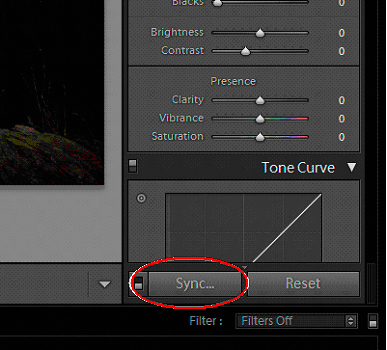 Hit on the Sync button to bring up the Sync dialogue box. Hit “Check All” and then hit on “Synchronize”. This action will perform all the editingactions you just did on the initial image and make your image gallery consistent. After you have finished editing your images, you need to export the edited images into a separate folder (you do not want to loose the originals by over-writing them!). Go to File>Export to bring the Export dialogue box. Leave all options selected as is except for Export location, where you specify the new location where you want to put the Low res JPEGs. Now under File Settings choose theformat to JPEG and set color space to sRGB. Under Image Sizing, check Resize to Fit,and choose Short edge with Don’t Enlarge, and set the Pixel dimension and resolution to a dimension you are comfortable with. Here I have chosen 1080 with a 300 ppi as Iusually like to have a bigger size image to make my TL, this gives me more flexibility inmaking larger resolution pictures which can be played on TVs etc. If however you are not too keen on having a bigger image, then you can resize to 720 pixels as well. Once this is done, hit on Export. This exports all your images to the new folder “LowresJPEGs” and you are now done with image editing! Hit on File> Open Image Sequence… and point to the first image of the processed images. One thing to note here is QuickTime does not let you choose all the processed images, you will have to choose just the first image. 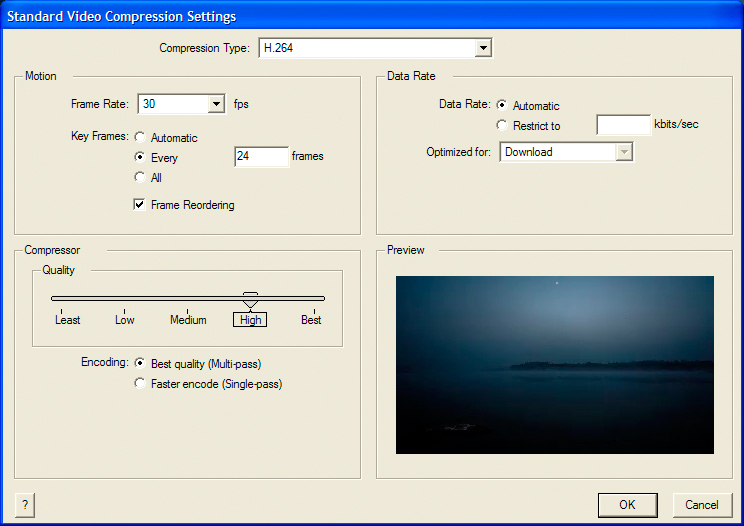 Once this is done hit on the dropdown “Frame rate:” to choose the speed at which you want your images to be displayed. 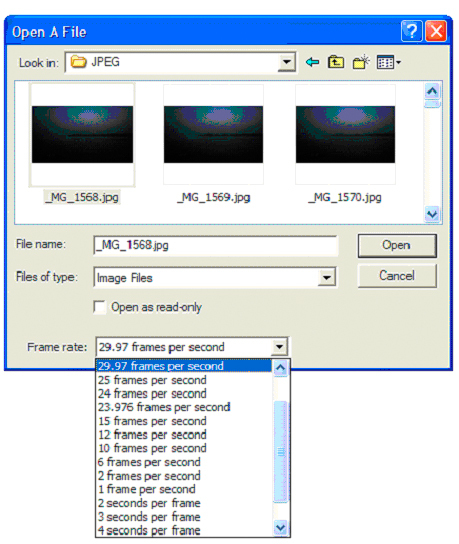 Choosing 30 frames per second, shows 30 images in a second and so on. Click on Options… to review the Options, make sure you have the same settings as shown below. 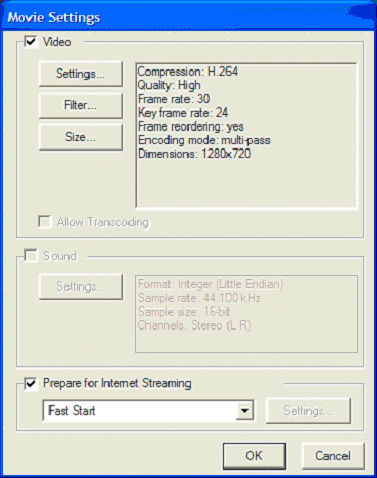 In the Compression Type: make sure to have H.264 selected. Also make sure to have thesame settings selected as shown in the screen shot. Hit OK to go back to Movie settings. Now click on Size… in the Movie settings to launch the Size menu. Choose 1280×720.Here I have reduced the size of the video to 720 pixels on the short side to make itoptimum for playing on the computers. If I am playing it on TVs then I would resize it to1920x1080 instead. Click OK to go back to movie settings. 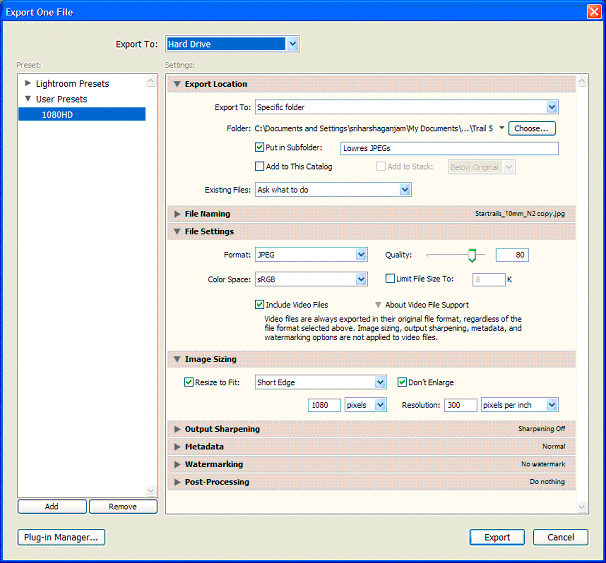 Hit OK on the movie settings and Save your movie file. So now you have your TL video saved as a .mov file. Please note however your movie still doesn’t have any music, so if you are planning on adding some music there is one last step that needs to be done. After you have exported your TL as a .mov file, find some music which goes well your video. Note down the length of your video clip, as you will be copying music which is aslong as the video duration. Now open the music in another instance of QuickTime, move your pointer over the time slider and you will notice a “L” and “Reverse L” icons appear. Drag these icons to the part of the music file which you want placed in the video. If my video is 15 sec long I basically want the spacing between my two “L” icons to be 15 secslong. Once you have selected the right segment, do a Edit> Copy. Now move to the TL video and do a Edit> Add to Movie… This adds the music to your TL video. Play it once to see if the merger has come out well. Once you are satisfied withyour results. Save the video file. So there you have it! A Time-Lapse with music. The amount of work required to do an artistic TL is heavy (both in terms of effort anddata) but if done with patience and dedication we can have some amazing results. Once you have mastered this you can experiment with more innovative techniques like panning Time-lapses and more professionally edited clips. Hope this article on introduction to Time-lapses was easy to understand and execute. We at Landscape Wizards would love to hear your views and see your work so please do feel free to drop us a line or share your work on Landscape Wizards. Thanks on behalf of Team Landscape Wizards. Thanks you so much for the detailed tutorial on Time-Lapse photography,i’ve been trying TL lately in sahyadris.This tutorial will be really useful for me to groom better. Thanks for Simple and detailed Intro Harsha. I would like to add a point in Camera Settings section, thought you would have missed. You have mentioned about locking exposure and white balance using manual mode, also it is important to lock the focus using Full time Manual override switch on the lens, else it would screw up focus some time in the middle of TL. Again, Very nice and detailed intro for beginners to TL. Wishing you the best light!!! A very comprehensive article that serves as a terrific introduction to time lapse photography for a beginner, and whom better to hear it from than Harsha!